Time for Beautiful Outdoor Photos - A Digital Marketing Agency | IIAS - International Internet Advertising Services Inc. Between May and July is the best time of year to take your outdoor photographs in Canada and particularly on the West Coast. Quite often we have vivid blue sky with white puffy clouds this time of the year. Add to this the beautiful green leaves, blossoming flowers and lush green lawns and you have the makings for magnificent outdoor images. With the vivid blue sky and the spring sunshine we get excellent light levels which make it easier for your camera to give you sharp beautiful colour. 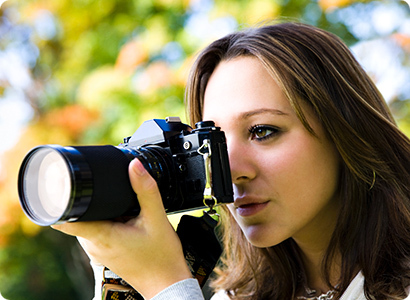 We know the use of amazing photos in your marketing material can translate to increased sales. The old saying “A picture is worth one thousand words.” is more powerful today than it has ever been. The web is truly a visual place and you can help make a great impression with your customers by taking outdoor photographs at the right time of the year. So grab your camera, get outside and take some great photographs. Internet Marketing on a Tight Budget: The Lowdown What is Search Engine Marketing / SEM?